July 1st Target Field Weather | That's Twins Baseball. A Minnesota Twins Blog. I'm comin for you, Al Roker! Right now the rain that is holding the game in delay is just west of Waconia and after that moves through, game on. Some strong winds embedded in these storms as they move to the east northeast. It appears Legolas is getting his bow ready for an echo. Some are wondering why the delay since there’s no rain falling. Well, have no fear, it’s coming. 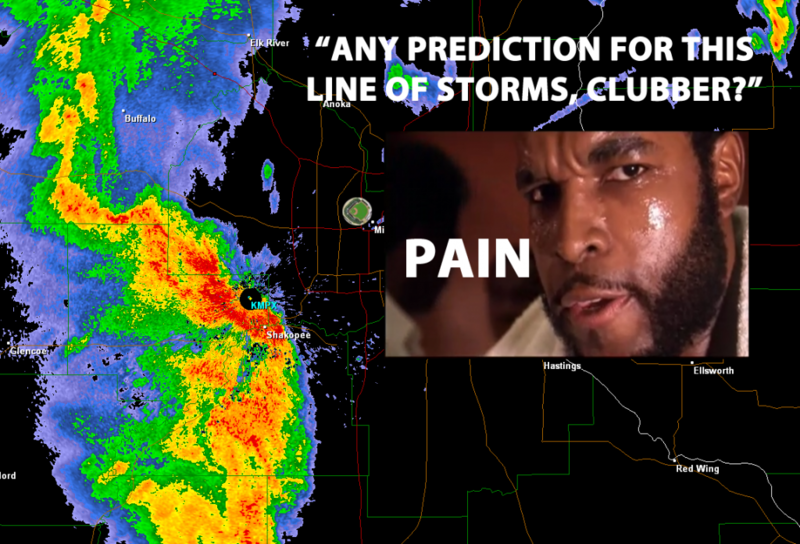 Just ask our intern meteorologist Clubber Lang what his prediction for the weather is…. 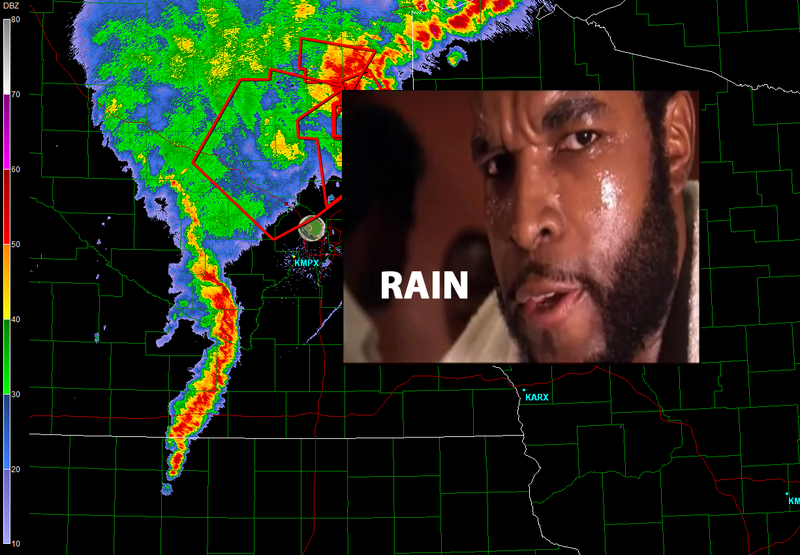 Thanks intern meteorologist Clubber Lang. In all seriousness though, once this last line over central Minnesota moves through there shouldn’t be anymore severe threats. Delayed first pitch at 9pm? Tweets were coming in fast and furious earlier showing pictures from hell. 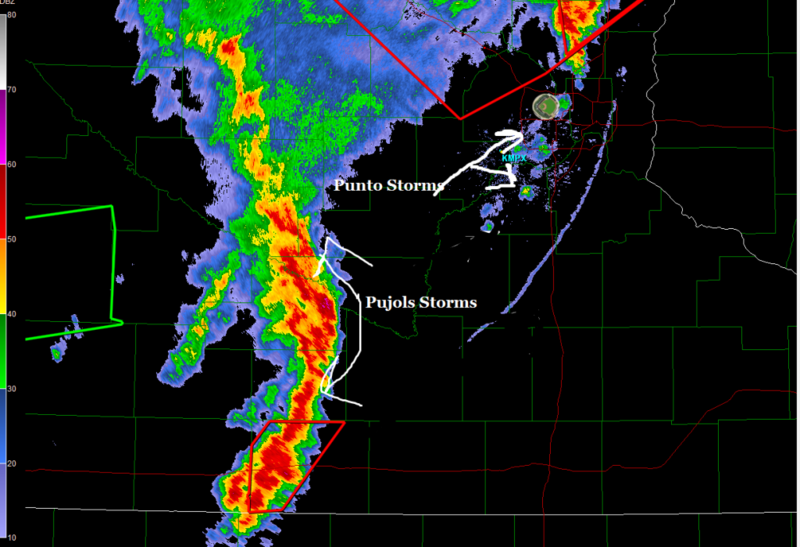 Those were just the bases of “Punto-like” scrappy little storms. The main line is forthcoming. 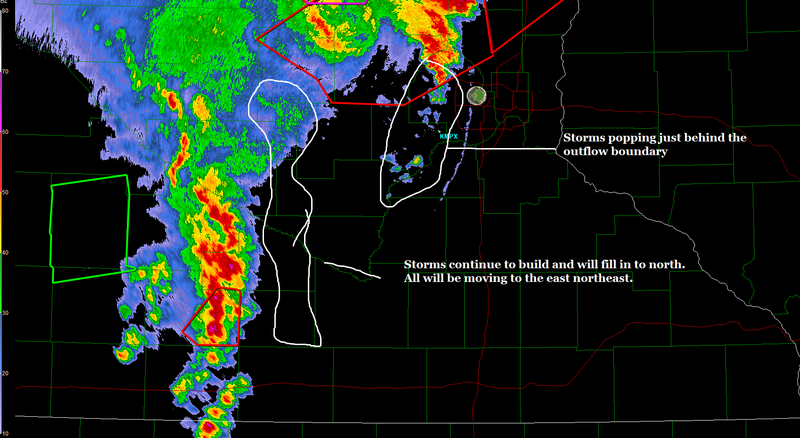 From the looks of some tweets the gust front has indeed pushed through. Here’s an updated radar image. Some storms trying to from behind that gust front that could impact Target Field. The main concern will be the storms developing to the southwest. Given these still have to move through, and potential storms forming behind the gust front impacting Target Field now, I’d say a DELAY is a pretty good guess. You can blame Kim Kardashian for all of this. Thanks. 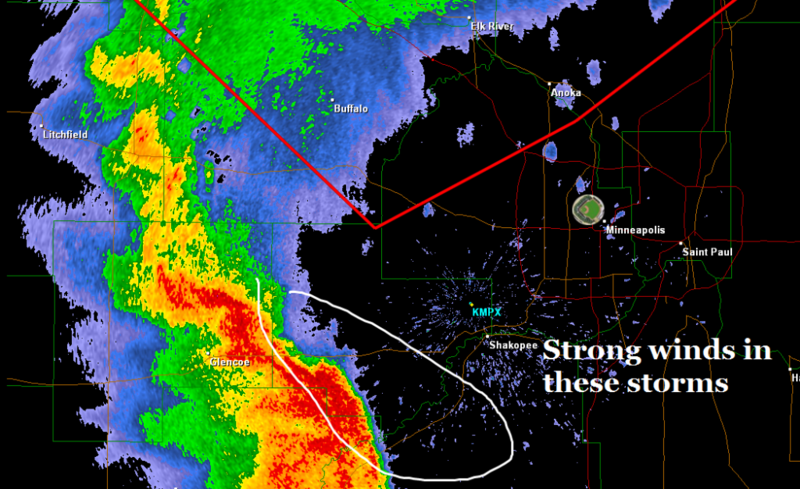 These storms should miss Target Field as they race off to the northeast. Notice the circulation outlined by the white. This is a bookend vortice and is indicative of the storm bowing out in the midde (notice lack of heavy radar returns indicating an inflow notch). The dashed line is the outflow or gustfront extending out from the storm. The main impact if any on Target Field may be some gusty winds behind this gustfront and potential thunderstorm initiation along it. The main threat (other than the aforementioned gust front initiating more storms) will be the storms redeveloping in the southwest corner of the state. Will have to keep an eye on them as they will be propagating further east than the first line as the weather system shifts off to the northeast. Punto Storms… Pujols Storms… Beyond brilliant.